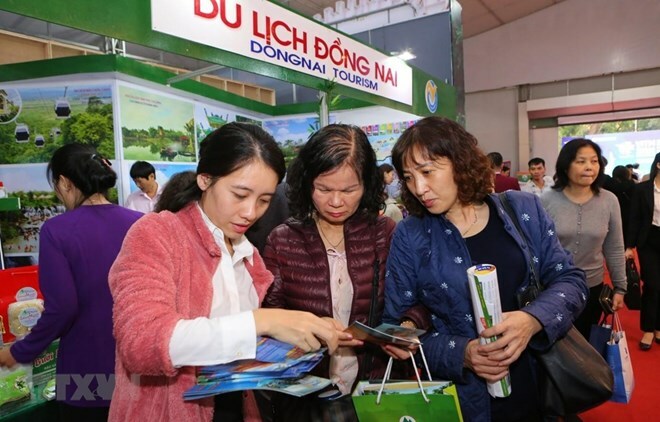 Hanoi (VNA) – The Can Tho International Travel Mart will be held in the Mekong Delta city from November 29 to December 1, expecting to have 200 booths of Vietnamese and foreign travel companies. The expo’s highlight will be a conference to seek measures to turn the Mekong Delta region and Can Tho into a leading tourist hub of Vietnam. With the engagement of regional provinces as well as Vietnamese and foreign travel firms, the Can Tho International Travel Mart is hoped to become an outstanding annual tourism event in the Mekong Delta region. Over the past years, Can Tho tourism has been growing strongly, contributing a large part to the economic growth of the locality. In 2018, Can Tho welcomed more than 40 million tourists, up 17 percent over 2017, with total revenue of more than 24 trillion VND, a surge of 30 percent year on year.